Calm the chaos of an event! Distribute the All Purpose Geometric Drink Ticket to guests! Shades of orange and blue cover the background of this design. 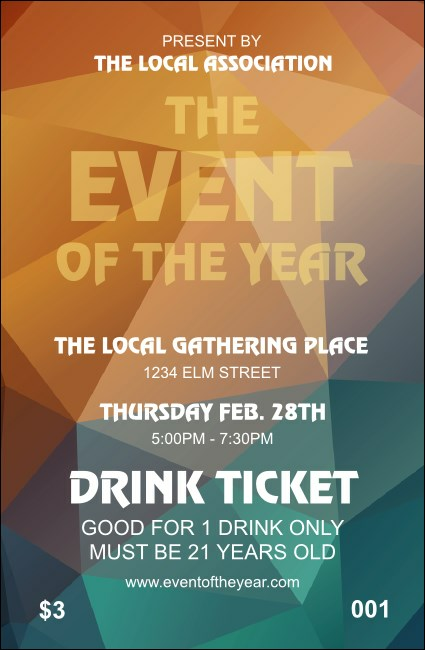 Event and drink details are written in crisp white text. Pair with coordinating invitations and flyers in a Matching Event Kit.